Ready to make a full-time income from your blog? You could be paying the bills with brand deals while delivering value to your community. You could spend your weekdays shooting + filming amazing content for brands you love. 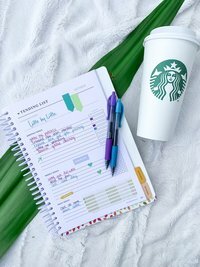 Summer Camp is the ultimate how-to for bloggers who want to make a full-time income from their blog - and pitch, negotiate, and land their own paid brand collaborations. It’s the only program of its kind that teaches you an actual STRATEGY from beginning to end of a brand deal - all in one week - and from the perspective of someone who works in PR. 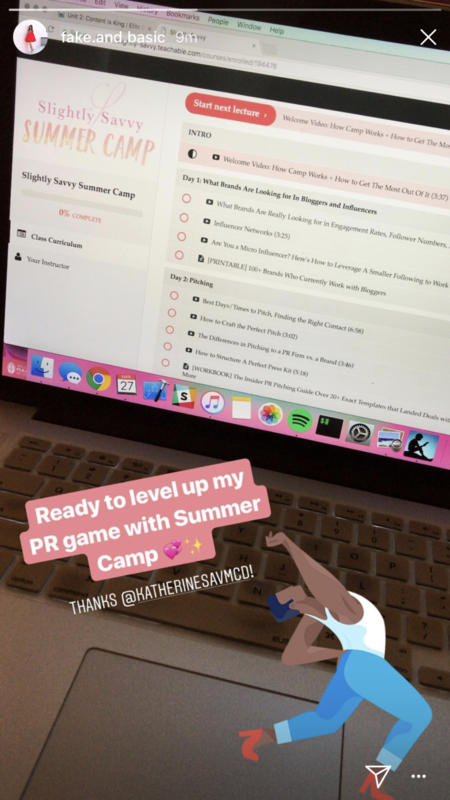 Summer Camp has taught over 100+ bloggers of ALL sizes how to land brand deals with companies like Clarisonic, Neutrogena, Lowe’s, Sephora, + more. pitch, negotiate, + Land your own brand deals? You've had brands reach out to you - but they only want to send you free product. NOT cash money. You dream of being an influencer full-time - but you have NO idea how to land those brand deals you see on Instagram. You pour hours into your blog and Instagram...all to not make ANY money. Planning out brand deals months to align with your content calendar. Sending off invoices to brands - knowing they're paying you exactly what you deserve. Michelle signed a 4-figure brand deal. Nicole also signed a $3K collaboration. Bailey pitched herself $1,200 in brand collaborations in one month. 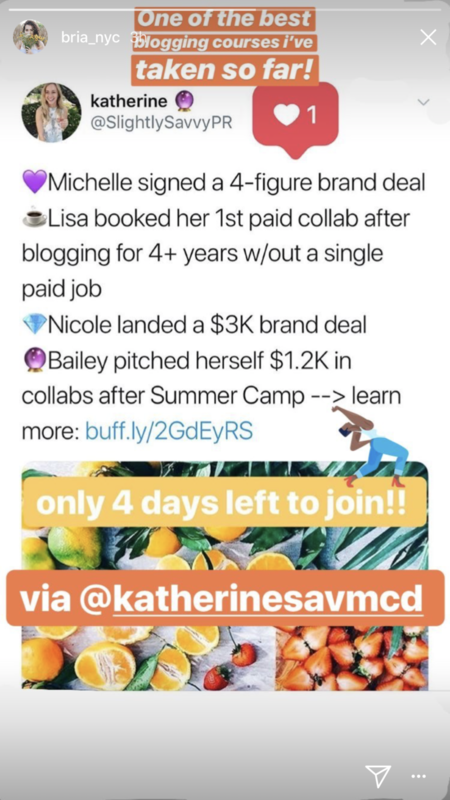 Lisa booked her first paid collaboration after blogging for 4+ years. Roxci turned a one-off brand deal into a YEAR-long partnership. I’m not a math person, but seems like a pretty good return, right? I love pitching like any good publicist does, but where the actual money is made is in the negotiation. Pitching - aka the lifeblood of you working with brands. We're diving into exactly how to find brands to work with + exactly what those brands need to see from you. 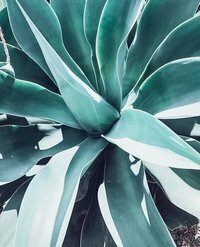 Use Instagram strategically to get yourself in front of brands + PR firms. I know legal stuff is boring...but getting PAID isn’t boring. Perhaps the hardest part is slapping a price tag on yourself and your work. You’ll get a concrete number to deliver with confidence the next time someone (like me) asks. These were my FIRST partnerships with well-known brands, + I felt prepared + confident throughout the entire process because of everything I learned in Summer Camp." "I landed two partnerships with Matrix BiolagÉ and Clarisonic! 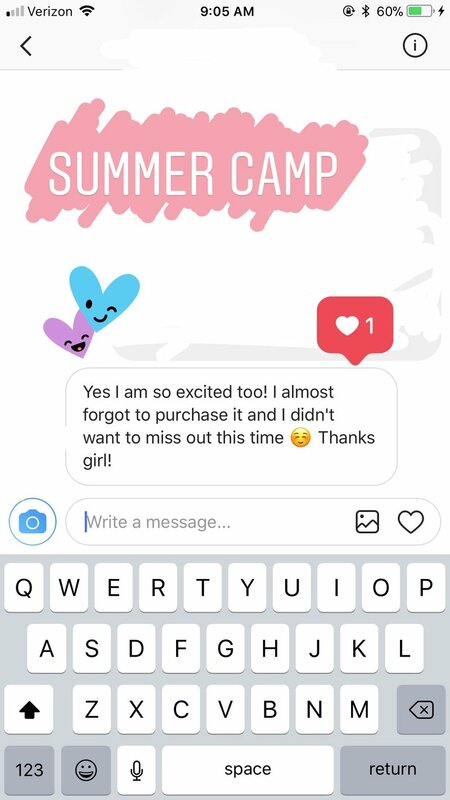 Before Summer Camp, I wasn’t totally sure how to price for Instagram posts, especially as my following grew, so I kind of just took whatever a brand offered me and ran with it. With Summer Camp’s Pricing Guide, I confidently raised my prices." 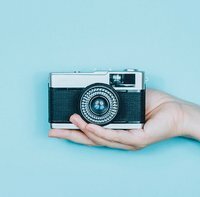 "I've negotiated higher blog + Instagram rates! I thought I needed to have a ton of followers to get paid + to receive free product. 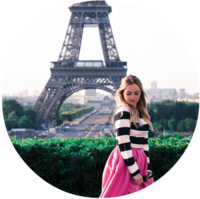 I've also recently been invited to an invite-only event for travel and lifestyle bloggers!" "I've done one paid collaboration + turned a one-off deal into a year-long one! I was able to adjust my packages and negotiate a $3K brand collaboration. But the most worthwhile thing I learned from Summer Camp was to understand my value as a creator and ask for what I'm worth." 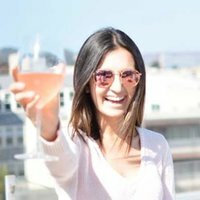 "I negotiated a $3,000 Brand Collaboration with her lessons, experience, + email templates. You're doing some serious work. Work with me personally + your fellow influencers during our Live Week (Sept 6-10) - Plus, introducing the newest twist of Summer Camp - September Group Coaching! How does summer camp work? This isn’t one of those courses you buy...and then the expert isn’t available for questions, provides no 1 on 1 time or interaction. BUT READY FOR THE BEST PART? 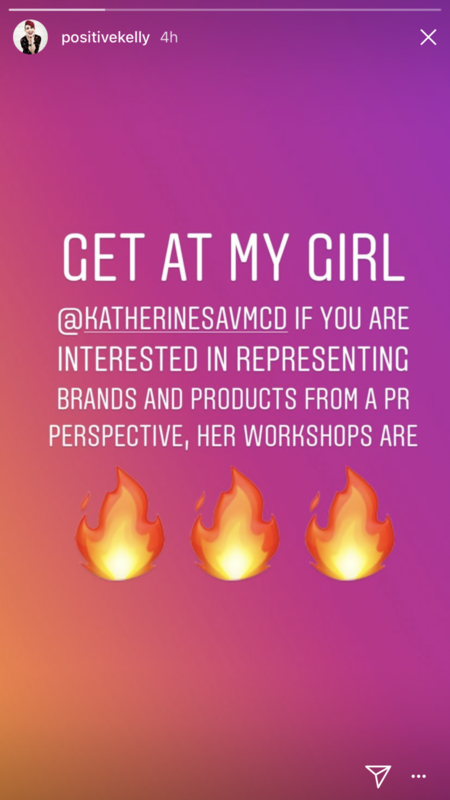 I'm Katherine - a publicist + influencer strategist. 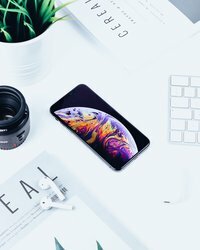 Working in full time in PR, I started writing blogging tips from my unique perspective from the PR world could provide so much never-before-heard value to bloggers + influencers hustling their own blogs, wanting to work with brands. I now operate Slightly Savvy full-time through the original blog; the newest project, Swipe Up: A Podcast for Influencers; and I'm SO honored + excited to teach you how to monetize your influence. Stop getting paid in only free product + turn any offers you get into paid work. Per Katherine’s suggestion, I gave the PR contact multiple pricing package options to choose from which really made a big difference in closing the deal. 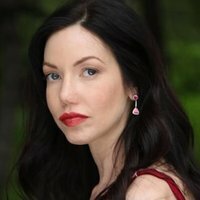 I have continually been using this technique and Katherine’s brand centered approach to pitching in order to secure additional paid jobs." 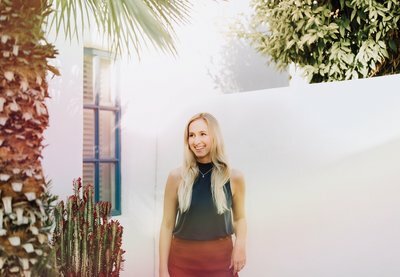 "I booked my first paid collaboration for $400! 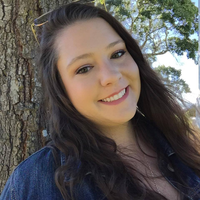 Katherine provides a wealth of knowledge in all of the content she produces, and I can confidently say that Summer Camp teaches you things about the industry that you won't find anywhere else." Summer Camp taught me the metrics that I should be showing brands about my blog and how to market myself. 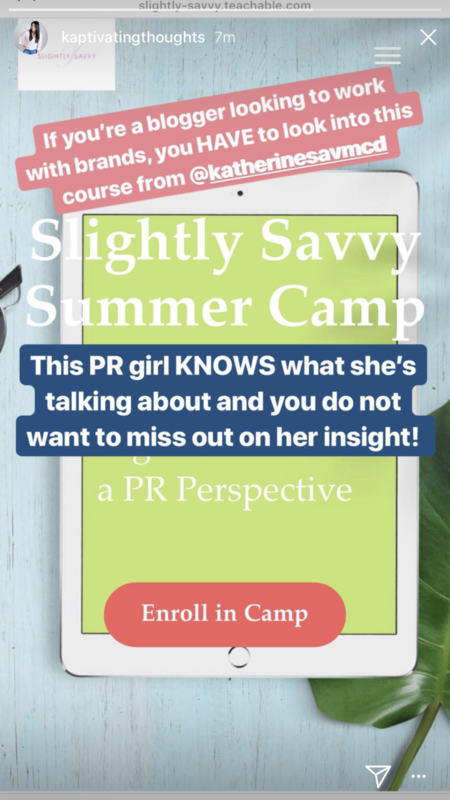 I bought so many courses prior to Summer Camp - Summer Camp is truly the only place where I felt like I learned from someone who had industry experience about turning my blog into a business." 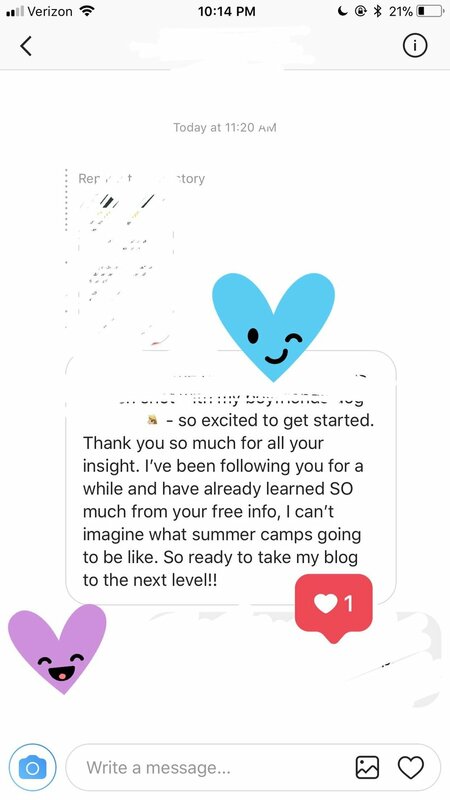 "I've actually gone through the course 3-4 times at this point because I keep going back for little tidbits of knowledge! Prior to Summer Camp, I had no idea where I stood when it came to pricing, brand outreach, or how to leverage my following. Now, I'm much more confident when pitching + I also have specific reasons to show brands why they should want to work with me." 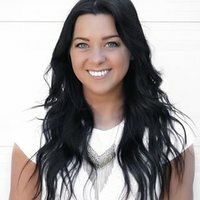 "Katherine helped me craft pitches, set my pricing, and taught me how to leverage my specific following. I felt like my blog was too small + brands would never care or look at me! Summer Camp taught me the metrics that I should be showing brands about my blog + how to market myself. 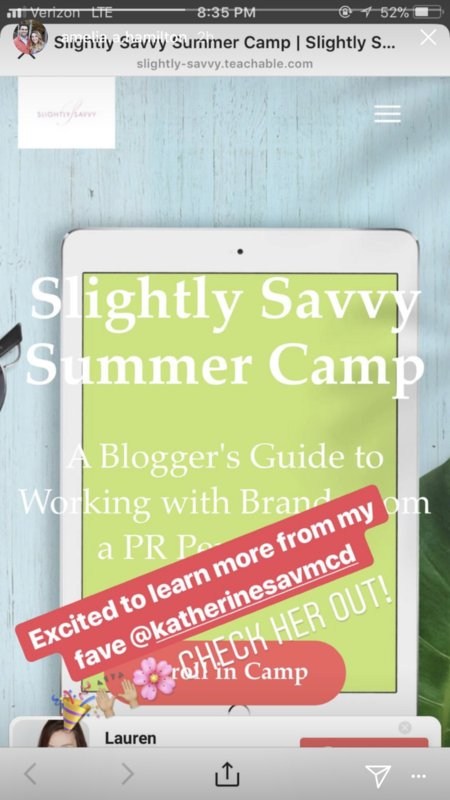 Summer Camp is truly the only place where I learned from someone with industry experience about turning my blog into a business." "i love when I get to have a more meaningful relationship with the person I'm learning from. "Summer Camp with Katherine is unlike anything else that's out there! 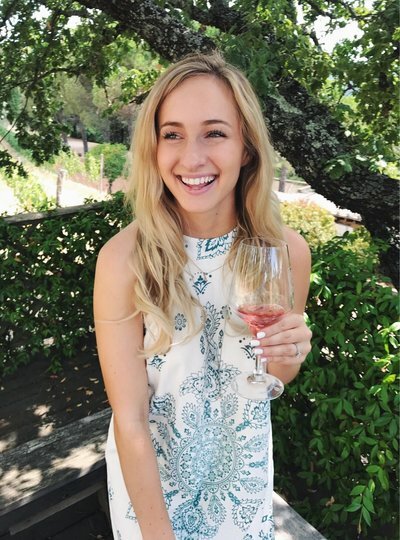 Katherine uses her expertise and experience working in PR to bring insiders tips to elevate bloggers and influencers. 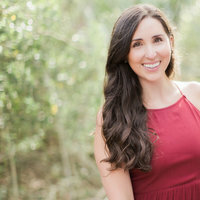 "She provides realistic and concrete strategies, tips, and formulas to ensure bloggers are being paid our true value. I know because i watch them sign the checks for a $30,000 radio ad. is summer camp for you? 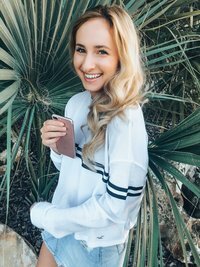 Janna said, "Before I joined Summer Camp I had already invested in another very expensive pitching course and was a bit hesitant to spend more money on yet another course. I was worried I might not learn anything new and that it might be material I have already heard before. I am happy to say Summer Camp exceeded all my expectations!! 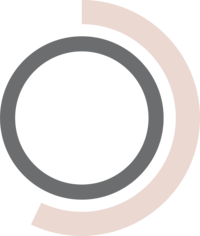 I have learned so much insight from the course and I find myself constantly referring back to the content, especially the email templates, when I am communicating with brands." q: I invested in another influencer course...and it didn’t live up to my expectations. Is this just another one “of those”? Don’t stress, friend - you’ll have access to Summer Camp content forever. The Facebook Lives and group coaching calls will also be recorded and posted into Summer Camp as well -so you’ll have access forever, even if you miss them in person. Q: What if I can’t dive into Summer Camp content immediately because I work full-time/am going on vacation, etc? Am I going to get behind? Again, don’t stress. 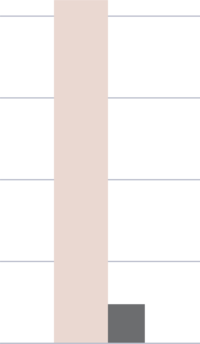 Will all vote and figure out what day/time works best for the majority. If you still can’t make it, no worries because the calls will be recorded and posted in Summer Camp. q: How is the day and time of the group coaching calls determined? What if I can’t make it? 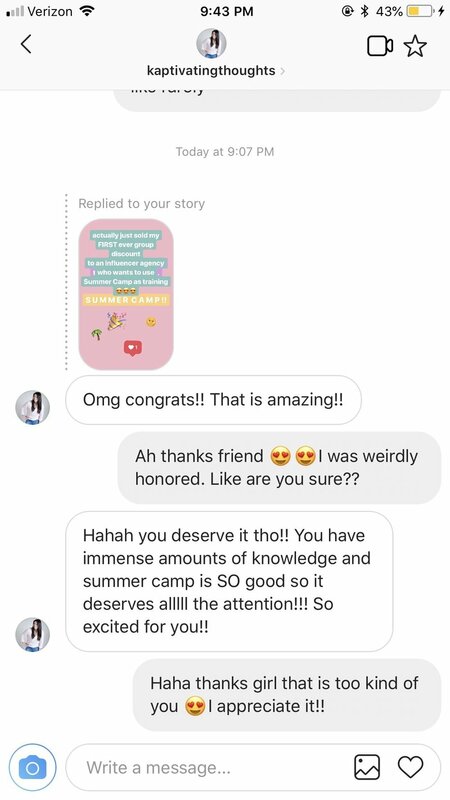 First, one of the main things we cover in Summer Camp is how to leverage a smaller following as a micro influencer! There's tons of value in having a smaller community - you just have to know how to present it to brands. Some brand collaborations take MONTHS to play out. For this reason, Summer Camp can't be refunded. and end every day with joy?